Australia, 27 April 2017: Australia’s Girl Geek Academy is celebrating International Girls in ICT Day this week with the next phase of its world-first coding curriculum targeting girls aged five to eight – #MissMakesCode. Girl Geek Academy will officially launch the #MissMakesCode teacher training program tomorrow at a sold-out coding workshop taking place in Sydney at Custom’s House. The event, in partnership with leading female film festival, For Films Sake, will see local primary school girls learn to code and build a game in a day. Girl Geek Academy’s #MissMakesCode is the first initiative in the world created to build confidence and self-efficacy in the areas of algorithmic thinking, programming and coding targeting young girls aged from five to eight. To ensure solid pedagogical approaches are used, #MissMakesCode aligns with the Digital Technologies Curriculum. Girl Geek Academy is a global movement encouraging women to learn technology, create startups and build more of the internet. 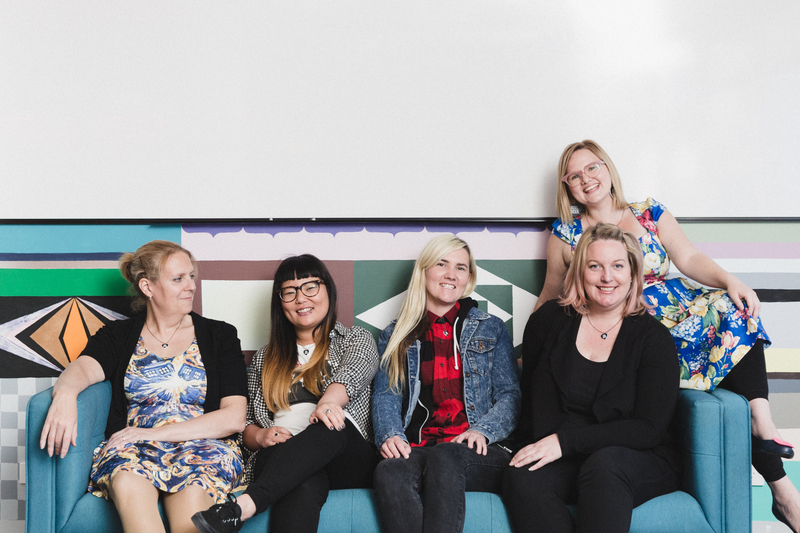 The girl-gang work with teachers, schools, corporates and startups to increase the number of woman in the digital and entrepreneurial landscape. Created by teachers, for teachers, the #MissMakesCode program is delivered through specialist teacher training bootcamps where primary school teachers, teacher librarians and parents of five to eight year old girls are provided with the framework to deliver these fun and engaging workshops. Educators will learn how to code their own game, just as their students would, followed by practical examples and resources to help them roll the program out in their school. Girl Geek Academy strongly advocate for the upskilling of teachers in this space to boost their own career trajectory and increase the reach of the workshops – and ultimately, the number of girls pursuing STEAM careers by adding the art and design element to the traditional STEM focus. 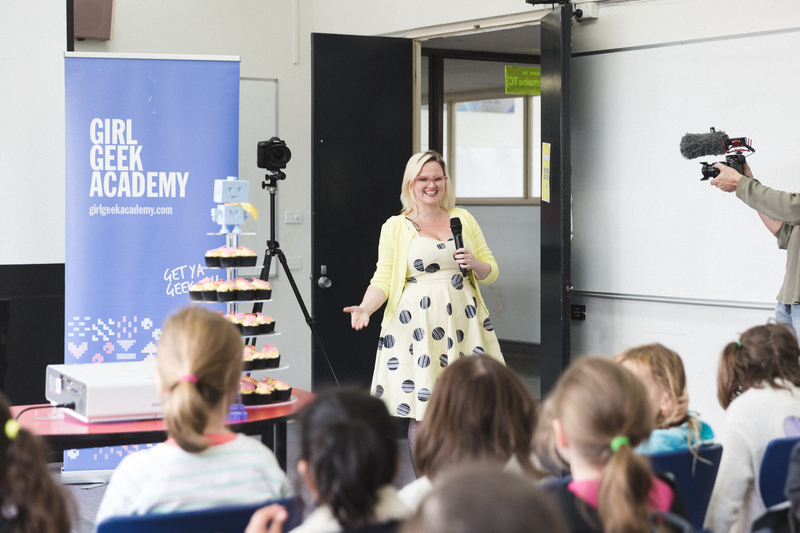 Girl Geek Academy CEO, Sarah Moran said: “We’re pumped to announce that #MissMakesCodes is back for another year and we encourage primary teachers across Australia to join us for the upcoming teacher training workshops starting in July or register for our online bootcamps. “#MissMakesCode is an important initiative in our bid to help increase the numbers of women in future IT careers and diversify IT roles for women. It’s critical that we engage girls in technology from the age of five, so that it can become a native skill like reading and writing. We know that it’s easier to engage girls in technology before they have been exposed to any gender bias, as research shows that from the age of six, girls already have gendered beliefs about intelligence and they’re more likely to avoid games meant for “really, really smart” children,” continued Ms Moran. Earlier this week, Girl Geek Academy teamed up with official .au wholesale provide AusRegistry to run a coding workshop at Queen of Peace primary school in Altona Meadows, Melbourne. Maggie Whitnall, Senior Client Services Manager at AusRegistry said: “Increasing diversity in the technology industry is a cause we’re very passionate about, to ensure we’re creating the best possible workplaces that generate the best possible outcomes by including a true mix of voices and experiences. “It’s fantastic to mark Girls in ICT Day with such a valuable program as the #MissMakesCode workshop and to see young girls engaging with technology in a fun and creative way. Hopefully it’s inspired some of the coders of tomorrow,” continued Ms Whitnall. The #MissMakesCode is now open for teacher signups via its website http://missmakescode.com. The first teacher training workshop will take place in Melbourne on 27 July, 2017. (3 April 2017) – Arcadis Australia Pacific today announced a strategic alliance with Australian tech innovator RedEye to transform the Australian built asset industry’s use of data. The strategic alliance will see Arcadis integrate RedEye’s innovative cloud solution into its strategic asset management offering, bringing a tangible digital solution to public and private organisations that own, operate and maintain critical infrastructure. 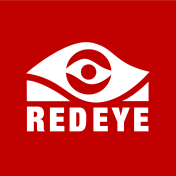 RedEye provides an enterprise mobile solution that transfers “as-built” engineering drawings and related data to the cloud. The revolutionary platform allows teams to easily collaborate and find, markup, back draft, review, approve, use and manage their data from anywhere, and on any device. Stephen Uhr, Client and Corporate Development Director, Arcadis Australia Pacific: “The industry is crying out for digital to go beyond a buzz word and to contribute to resolving real business problems. Building information modelling (BIM) is slowly beginning to meet its promised potential, but what of all the existing data? “Too often we wait for the next big project to start our digital journey. We are yet to see the industry truly embrace a holistic digital solution; this provides an outstanding opportunity to bring together a global consultancy with Australian developed cutting edge digital products. “RedEye are the unsung heroes of the engineering industry. In a short time, Wayne Gerard and his team have helped many in the industry to unravel the power of their data. With RedEye, you don’t have to wait for the next big project but can act immediately to bring existing engineering data into the digital world in a useable form, by making your existing drawings cloud-based and mobile. This saves time, improves safety and collaboration, saves money and provides your first essential and tangible step into digital solutions. Wayne Gerard, CEO, RedEye: “Arcadis is setting a new industry benchmark using our cloud and mobile solutions to provide value and real insights to their clients and the industry. “We’re excited to be working with a global industry leader that shares our values, it’s a perfect fit for us and the industry. Arcadis is an innovative design & consultancy firm with 27,000 people operating in over 70 countries. RedEye is the disruptive market leader in asset data and digital workforce management solutions for built assets. Arcadis is the leading global Design & Consultancy firm for natural and built assets. Applying our deep market sector insights and collective design, consultancy, engineering, project and management services we work in partnership with our clients to deliver exceptional and sustainable outcomes throughout the lifecycle of their natural and built assets. We are 27,000 people active in over 70 countries that generate €3.3 billion in revenues. We support UN-Habitat with knowledge and expertise to improve the quality of life in rapidly growing cities around the world. Arcadis. Improving quality of life. RedEye is a disruptive tech business, and the first software business to make engineering data truly mobile. Established in Brisbane in 2012 by Wayne Gerard and Randall Makin, RedEye is one of Australia’s fastest growing scale-ups with an expanding global footprint. RedEye’s Cloud and Mobile based solutions help asset owners and their service providers improve their productivity and safety, while reducing business risks and costs. With a mission to reinvent the way people work, the company has pioneered a new product category, globally, in cloud and mobile engineering data management for asset owners. In 2016, RedEye launched its collaborative work management and analytics solution, RedEyeWFM, which is revolutionising the way organisations plan, schedule, execute and manage work with their customers and service providers. Australia, Monday, 13 January 2017: Multi Channel Network (MCN) is establishing a new benchmark for highly targeted and efficient television trading on Australian free-to-air channels by now offering its innovative Dynamic Trading model on Network Ten. The announcement follows a successful trial of the model across Network Ten’s channels at the end of 2016. This latest technical evolution for MCN and Network Ten’s partnership follows the latter’s move to the Landmark system in May 2016. It means MCN will now offer advertisers the opportunity to trade audiences rather than just airtime across Network Ten, helping improve targeting and audience campaign delivery. The rollout will progress over 2017 with selected partners. MCN’s premium trading product uses up-to-date audience predictions to respond to changes in viewing behaviour, in turn, optimising campaign placement. In 2016 MCN demonstrated the success of this Dynamic Trading model by meeting the end-of-year goal to deliver 60 per cent of all Foxtel advertising campaigns through Dynamic Trading. The achievement reflected the market’s enthusiasm around dynamic trading, as well as MCN’s ability to deliver results. MCN Chief Sales and Marketing officer, Mark Frain, said: “As the industry landscape becomes increasingly more complex, sophisticated and automated tools like Dynamic Trading play a significant role in helping advertisers trade with greater ease, flexibility and efficiency. This is the future of the television industry, and we’re excited to be the first to deliver it on free-to-air in Australia in partnership with Network Ten. Network Ten Director of Revenue and Client Partnership, Rod Prosser, said: “Ten’s partnership with MCN continues to deliver improvements and innovations for our advertisers and the introduction of Dynamic Trading across Network Ten is another great step forward. “As audiences continue to grow across our portfolio, through our MCN partnership, we are able to offer advertisers better integrations and greater engagement. Carat Sydney’s Head of Implementation and Investment Operations, Louise Romeo, said: “In 2017, we continue to pioneer Carat’s vision of helping our clients navigate through the digital economy. This means we are driving and leading areas such as automation, better targeting and programmatic investment. MEC Managing Director, Royce Zygarlicki, said: “As consumption of video content continues to fragment, networks and agencies alike remain under pressure to address linear TV audience declines. Taking advantage of alternatives to the traditional fixed spot buying model helps MEC to alleviate these pressures and deliver consistency in a volatile market. About MCN: MCN is Australia’s leading media sales company, representing the advertising interests of Foxtel, Network Ten, FOX SPORTS, Telstra Media, plus many other premium content brands. Accounting for the biggest commercial audience share of television and the largest broadcast-quality digital video network in Australia, MCN represents 15 capital-city free-to-air channels from Australia’s fastest growing free-to-air network, Network Ten, 71 premium subscription television channel brands across Foxtel, 117 premium digital publishers, plus online catch-up and streaming TV services tenplay and Foxtel Go. MCN also represents 31 Digital-Out-Of-Home-TV screens and partners with Qantas to manage its domestic and international inflight entertainment network. MCN is a partner in MBX, a programmatic advertising exchange with NewsCorp. 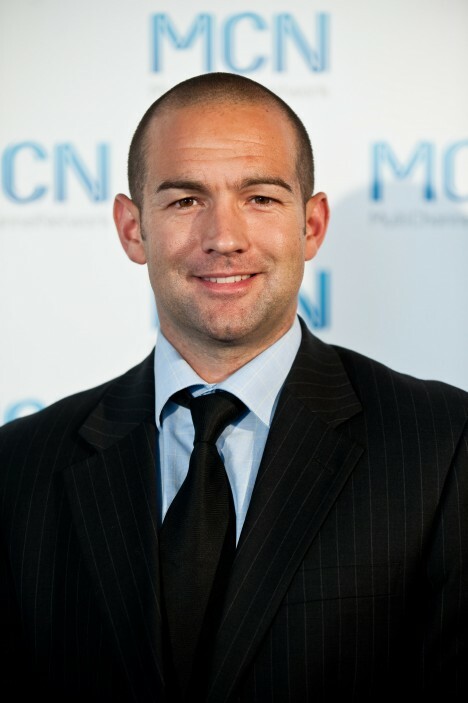 A pioneer of innovative digital advertising solutions, MCN has led the development of local and world leading initiatives including Australia’s largest TV audience panel, Multiview, Australia’s most advanced trading platform, Landmark, and the world’s first integrated programmatic private marketplace for TV. Established in 1997, MCN is a joint venture between Foxtel, FOX SPORTS and Ten Network. About Network Ten: Network Ten is a division of Ten Network Holdings, one of Australia’s leading entertainment and news content companies, with free-to-air television and digital media assets. Ten Network Holdings includes four free-to-air television channels – TEN, TEN HD, ELEVEN and ONE – in Australia’s five metropolitan markets of Sydney, Melbourne, Brisbane, Adelaide and Perth, plus the online catch-up and streaming service tenplay. Australia, 19 January 2017: The ACS, the professional association for Australia’s ICT sector, welcomes Senator Arthur Sinodinos to the Industry, Innovation and Science portfolio, following Prime Minister Turnbull’s changes to his Ministry on Wednesday. ACS President Anthony Wong said, “The Innovation portfolio has been identified by the Turnbull Government as critical to generating the jobs of the future as Australia transforms into a knowledge-based economy driven by technology, innovation and digital skills. “The ACS looks forward to working with Minister Sinodinos on the second wave of the National Innovation and Science Agenda (NISA) to leverage new sources of growth to take full advantage of our growing digital economy. “As a priority, the ACS calls on Minister Sinodinos to address Australia’s digital skills mix and work collaboratively with industry, educational institutions and key stakeholders to boost digital literacy and ensure Australia’s pool of ICT talent continues to grow and be world class. This will be necessary as Australia continues its transition to a digital economy,” said Mr Wong. The ACS is the professional association for Australia’s Information and Communication Technology (ICT) sector. Over 22,000 ACS members work in business, education, government and the community. The ACS exists to create the environment and provide the opportunities for members and partners to succeed. The ACS strives for ICT professionals to be recognised as drivers of innovation in our society, relevant across all sectors, and to promote the formulation of effective policies on ICT and related matters. Visit www.acs.org.au for more information. Australia, 21 December 2016: Many solar power customers are in for a bill shock, with a predicted increase of hundreds of dollars on their home energy bills as the Solar Bonus Scheme draws to a close in New South Wales on 31st December 2016. Whilst solar systems alone have been an attractive and affordable proposition under the bonus scheme, a more reliable source of sustainable energy savings is needed once the Solar Bonus Scheme ends. The introduction of battery powered renewable products is offering Australian consumers an innovative alternative which can generate as much as 80 per cent energy bill savings.Renewable energy tech startup Evergen has received thousands of responses to its new intelligent home energy management system launched last month, with New South Wales at the centre of demand. 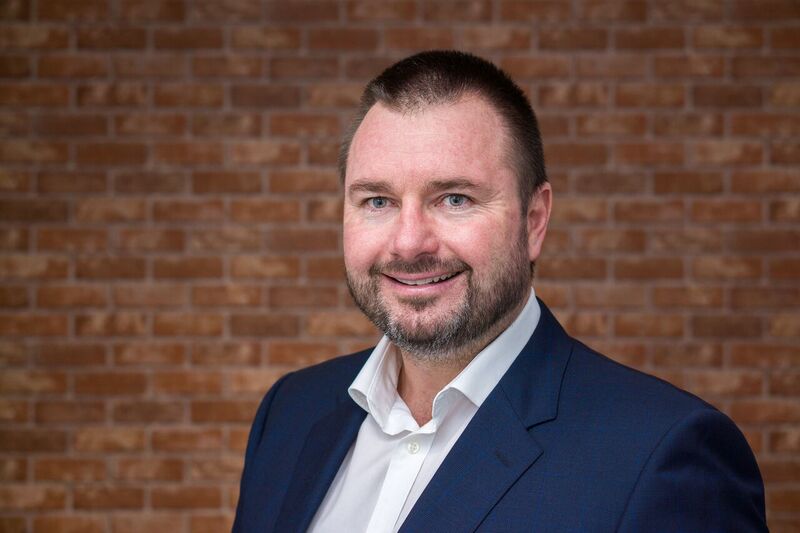 Evergen CEO, Emlyn Keane, said that more than half of the demand for the Evergen home energy management system is coming from NSW, where a recent report that crunches the numbers on the financial impact shows 146,000 NSW customers will be hit hard by the upcoming changes. “For the NSW households currently on the Solar Bonus Scheme tariff that ends this month, it is crucial to think about what this means to their energy bill, and what the next steps are. The energy sector is currently facing huge disruption with the customer having more control than ever over their home energy costs. There are plenty of opportunities for individuals to reduce their bills going forward, by using a combination of more advanced and complementary technologies like batteries, coupled with intelligent management technology that manages all the system components for you. It’s important to check your bill and see what credit you are currently receiving for the solar power your system generates. How much is it? 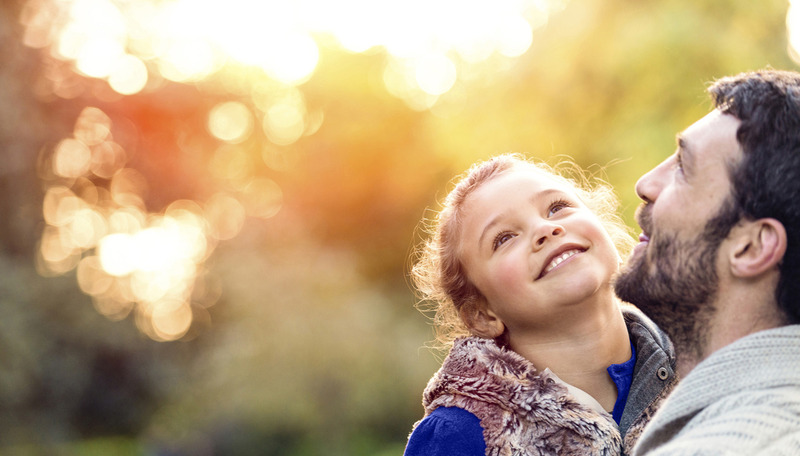 What will your quarterly bill look like once the Solar Bonus Scheme ends on 31 December? There are many reasons to shift to a renewable option – control, environmental impact and cost-savings. However, without the return on investment, renewable energy technology is more of a luxury or conscience item. New systems in the market such as Evergen offer up to 80 per cent reduction on your standard energy bill – providing a practical alternative that adds up with or without government subsidies. Many houses on the Solar Bonus Scheme will have to change their electricity meter when the scheme ends if they want to be paid anything at all for solar energy they export to the grid. The company you buy your grid electricity from should be able to help here. If that gets too hard, Evergen can arrange a change in meter as part of our broader solar battery installation. With the end of the Solar Bonus Scheme, you are best to try to use all the solar power your panels generate yourself, rather than let it go to the grid. Most solar systems generate their peak output in the middle of the day – so if possible, try to align your electricity consumption to use the most in the middle of the day. 4. Have you thought about a battery? For many houses, it is difficult to consume lots of electricity in the middle of the day, when the sun is out but nobody is home. In this case, a home battery system can make sure you get the most out of your solar panels, by storing the solar energy generated in the middle of the day, and releasing this energy when consumption increases when everyone gets home. By allowing you to store energy for when you need it most, a home battery system means less reliability on the grid, and considerable cost savings. Batteries need careful management though, to make sure they are saving energy for when it is most useful to your house, and to ensure the batteries themselves last as long as possible. An intelligent home energy management system can automatically look after your solar and batteries for you, ensuring you save the most money, and maximising the life of these important assets. An intelligent energy management system should include monitoring and forecasting of your electricity consumption and future solar generation. The remotely managed and CSIRO analysed Evergen system, for example, learns the power consumption patterns of each customer household and forecasts solar production based on local weather to build a picture of future energy flows. This analysis (done every few minutes) automatically chooses the lowest price source to power your home – whether that’s solar, your battery or the grid. “Since our launch in July, we have seen a sharp take up of the Evergen intelligent home energy management systems in the State. Our customers will have the first remotely-managed renewable energy centre for domestic use, which offers them far greater control and choice over the way energy is used and distributed in their home,” Mr Keane said. Mr Keane continued: “Not all systems are equal and many do not have the intelligent management needed to get the most out of the solar and battery hardware. Therefore, questions to ask include: Does the system allow you to store excess energy for a rainy day? Is there ongoing monitoring and customer service to ensure you are getting the most out of your investment? Who re-configures the system if your energy tariff or living circumstances change? Are all the hidden costs identified such as initial consultation and installation? With December 31 around the corner, it’s important to act now and investigate the product options on the market. With the additional energy savings available through combined battery and solar systems, it makes sense to consider an upgrade. About Evergen: Evergen is a new energy services company that sells and manages intelligent home energy systems comprising solar power and batteries. The ’intelligence’ technology is provided by the CSIRO, which periodically analyses and remotely updates the system to improve over time. AMP Capital is a major investor in the company alongside CSIRO. Evergen is run by energy scientists and advocates of change for clean solar and battery storage technologies for the home including renowned energy scientist Dr Glenn Platt and former CEO of AMP Capital and Evergen Chairman Stephen Dunne. Australia, 31 January 2017: Australia’s Girl Geek Academy today announced a raise of $1.3 million to roll out its #SheHacks Victoria hackathon, a world first, all-female initiative bringing women together to support them in creating new technology businesses across the state. Victorian Government innovation board, LaunchVic, has backed the initiative with $300,000 in funding. A further $1 million in support has been contributed from partners including the GO1 Learning Portal, an Australian-owned tech startup backed by Y-Combinator and Shark Tank’s Steve Baxter. The #SheHacks Victoria online program will be officially launched by Girl Geek Academy this month and is recruiting 1,000 women interested in building a business and finding their ideal co-founders. A series of boot camps and mentoring sessions across Melbourne and three regional locations will help prepare individuals and teams for participation in the #SheHacks Victoria hackathon taking place in June 2017. The locations are: Warrnambool, Warragul and Bendigo, which are all home to universities. At the #SheHacks Victoria hackathon, 200 attendees will form 60 teams who each will build, market test and pitch their minimal viable product (MVP). Teams will then have one month to get early users onboard before finalists showcase their business at the #SheHacks Showcase – a celebration of Victorian women in tech. #SheHacks is the first hackathon in the world dedicated to increasing the number of female founded startups by taking their MVP and supporting them for two months after the hackathon. To increase the number of women involved, the recruitment process will include boot camps to ensure women are best equipped to get value from the program. Sarah Moran, Co-founder and CEO of Girl Geek Academy said: “We are so pleased to have the recognition and support of the Victorian government for #SheHacks Victoria along with a very significant commitment from our partners GO1, plus 21 supporters throughout the Victorian startup community. This backing is a crucial step in rolling out our mission of helping more women to become a viable part of Victoria’s startup and technology ecosystem. “It is currently very challenging for women to find fellow founders, which is often crucial to starting and succeeding in a new tech venture. The #SheHacks Victoria program will provide multiple touchpoints throughout the year for women to find co-founders and receive valuable support for taking their business ideas to market,” continued Ms Moran. To maximise the impact of the #SheHacks program, Girl Geek Academy aims to provide early career experience in startups by targeting university students for the program. This includes training students to be founders and exposing them to potential startup career pathways. #SheHacks Victoria 2017 will host university teams, corporate teams and individual teams created from women across Victoria looking to found a startup together. Each team selects a problem they believe needs solving before testing the market with early stage ideas and their MVP. The focus is on building the capabilities of the startup team to work together over the longer term. Finalists will take to the stage to pitch their success or failure to date and their plans for future investment and growth. They will pitch to investors, corporates and the extended Victorian startup community. The #SheHacks program initially launched as a highly successful pilot in 2014, at the Inspire9 co-working facility in Victoria. #SheHacks Victoria will be the first statewide program at large scale. Sydney, Australia, 9 August 2016 – Afterpay, leading Australian retail payments innovator, today announced fashion brands Cue and Veronika Maine as the first to go live in-store with the Afterpay payment solution. In addition to its online offer, customers can now shop at Cue and Veronika Maine physical stores, check out with Afterpay and take items home on the same day. The Afterpay in-store process starts in just a few taps on a smartphone – customers choose how much they wish to spend, provide their payment details and receive an approval code to present at the register. Afterpay allows customers to buy in-store instantly, putting down a quarter of the cost and paying over four equal fortnightly instalments, helping to manage their monthly budget. Retail is progressively becoming ‘phygital’ and retailers recognise the importance of providing the combination of physical and digital touchpoints to customers. As a customer-centric business, Afterpay offers customers the benefits of a layby service with an immediate take-home option, taking the sting out of shopping, while merchants gain incremental sales, boost conversions and reduce returns. “The focus and future of bricks and mortar stores lies in enhanced offerings, which rely heavily on technology. Sophisticated digital and interactive experiences will become more commonplace and Afterpay is steering in this direction with our in-store solution,” added Molnar. “A culture of innovation is at the heart of everything that we do at Cue, including our e-commerce experience and the foundation for how we interact with our customers and the solutions we offer. Having seen what Afterpay has done for us online, we are excited to launch the platform in-store and offer our customers more choice, flexibility and benefits,” added Lenton. Afterpay is a ‘win-win system’ for customers and merchants, offering customers more options and keeping data secure, while merchants are safeguarded against fraud and non-payment risk. Afterpay complies with the highest level of Payment Card Industry compliance (PCI DSS Level 1 Compliant). Furthermore, significant repeat business can be attributed to Afterpay’s ‘customer-first’ philosophy. Founded in 2014, Afterpay is a leading Australian retail payments innovator that facilitates commerce between retail merchants and their end-customers. Afterpay offers a ‘buy now, pay later’ service that does not require end-customers to enter into a traditional loan or pay any upfront fees or interest. Afterpay currently has over 100,000 customers and over 300 retail merchants and in 2016, listed on the Australian Securities Exchange. For more information, visit www.afterpay.com.au. Sydney, Australia, 7 September 2016 – Topshop Topman is pleased to introduce Afterpay, a brand new and innovative retail instalment payment platform, available from today in all Topshop Topman stores across the country. A new-generation layby option, Afterpay allows shoppers to buy now, receive now and pay later, in-store in four simple fortnightly payments. As one of the world’s leading millennial fashion brands, Topshop Topman is paving the way in today’s fast moving retail environment. With Afterpay now in Topshop Topman stores, customers can fund on-trend, fashion forward purchases and avoid the pain of paying for them in one transaction, helping to manage their monthly budget. Afterpay’s customer-centric offering does not require end-customers to enter into a traditional loan or pay upfront fees or interest. The Afterpay in-store process is as simple as a few taps on a smartphone – customers choose how much they wish to spend, provide their payment details and receive an approval barcode to present at the register. Initially available to customers through online retailers only, Afterpay now extends its offering to physical retailers including the roll out to nine Topshop Topman stores in Australia located in Sydney, Melbourne, Brisbane and Perth. Hilton Seskin, Chairman at Topshop Topman Australia, said, “Topshop is very excited to provide our customers with Afterpay’s customer centric payment solution. We pride ourselves on always providing customers with the best experience and Afterpay will become an integral part of our in-store offering. Knowing we can offer our customer the opportunity to pay for the item while wearing it is a true win win. For our millennial customer, the concept of instant gratification is key, and can now be satisfied through Afterpay, whilst providing them with the opportunity to purchase that must have item before it sells out and is gone forever”. Founded in 2014, Afterpay is a leading Australian retail payments innovator that facilitates commerce between retail merchants and their end-customers. Afterpay offers a ‘buy now, receive now, pay later’ service that is absolutely in the customer interest, not requiring end-customers to enter into a traditional loan or pay any upfront fees or interest. Afterpay currently has over 140,000 customers and over 600 retail merchants and in 2016, listed on the Australian Securities Exchange. For more information, visit www.afterpay.com.au. Unique Afterpay customers are growing rapidly and currently exceed 140,000, with more than 65% of Afterpay transactions in the past 6 months generated by repeat customers. Afterpay’s online shop directory is recently receiving over 650,000 monthly page views as customers actively seek out retail brands offering the Afterpay service. There are more than 600 retailers on the Afterpay platform. In addition to TopShop Topman, Afterpay retail partnerships include: General Pants, Optus, PAS Group, Cue Clothing Co, Princess Polly, Surfstitch, House, Peters of Kensington, Tony Bianco, Aquila, MARCS, David Lawrence, Jeanswest, Dissh, HypeDC, Aje, Shubar, Dion Lee, Tuchuzy and Nourished Life. Afterpay is mindful of offering a responsible service and uses sophisticated proprietary technology to assess customer capability in paying for purchases. Each time a customer makes a purchase, Afterpay reviews any outstanding amounts and their repayment history. TOPSHOP TOPMAN launched into the Australian market 5 years ago, and now boasts 9 standalone stores nationwide. A partnership with Myer commenced in November 2015 which sees the store network increase to include 12 concessions. With more than 180 new styles each week delivered straight from London, TOPSHOP stores are unique and offer unrivalled service, product and experience. The fashion conscious shopper is able to enjoy the best ranges from the iconic British brand, including seasonal catwalk collection Unique; the premium limited edition line Boutique; designer collaborations and trend-led mainline collections, continuing to drive the retail phenomenon that captures consumers and celebrities alike including Taylor Hill, Cara Delevingne, Beyonce, Kate Moss and Kendall Jenner. Globally the brand has 330 stores in the UK, with a further 137 international franchises operating in 40 countries. Sydney, Australia, 6 December 2016 – Retail payments innovator Afterpay, announced its platform is now available at leading toy, baby and outdoor retailer, Toys”R”Us online – www.toysrus.com.au – just in time for Christmas. Afterpay, the new-generation retail payment tool allows shoppers to buy now, receive now and pay later, giving shoppers the opportunity to get their hands on the hottest Toys this Christmas season all the while helping spread out the end of year outgoings. Globally renowned toy, baby and outdoor retailer, Toys”R”Us offers unique products from the biggest brands and has compiled its yearly must-have toys to put under the tree this Christmas. Toys”R”Us Chief Toy Testers – four lucky kids who get to road test an assortment of toys and games throughout the year – have rounded up the Top 10 best gift ideas for 2016, ranging in price to suit all budgets. Afterpay offers the benefits of a layby service with an immediate take-home option. It does not require customers to enter into a traditional loan, pay upfront or monthly fees or interest. To receive these items and more, sooner rather than later, consumers can purchase online at www.toysrus.com.au, choose Afterpay as the payment option at the checkout and avoid the last minute mad dash or having to contend with large crowds at busy shopping centres. Toys”R”Us is Australia’s and the World’s leading dedicated Toy, Baby and Outdoor retailer with over 37 stores in Australia and over 1,550 stores worldwide in 33 countries. The Australian Toys”R”Us and Babies”R”Us stores are the largest and most exciting Toy and Baby stores in the country – providing children and their parents with an amazing, fun world of toys and baby products to choose from. For more information, visit www.toysrus.com.au.